Portland is one of the largest cities on the west coast, making it a vibrant metropolis filled with tons of young people as well as other friendly nature-loving citizens. The city sits along the intersection of the Columbia and Willamette River, offering an incredible view of Mount Hood, a six thousand foot mountain just off the outskirts of downtown. The PDX airport’s carpet has become symbolic with its famous teal color and geometric design. Originally it was fitted in late 1980’s but the Port of Portland (which is the operating authority) would not have thought that it will go viral creating a symbol of the city. A foot selfie with the carpet has become quite a tradition upon landing safe at the PDX. There were Instagram accounts and hashtags with the PDX carpet name way before the airport itself went with the people and installed signs around the airport to invite travelers towards the yellow foot outlines for foot selfies. The Port of Portland happens to take care of number of art installations and exhibits at the Portland International Airport. They are part of the PDX Arts and Entertainment Program. Artwork of regional artists is put on display at five different locations at the PDX. 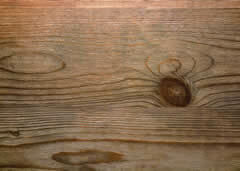 Local musicians often perform live. Apart from the exhibits, there is a massive cuckoo clock made of wood, called the “Portland is Happening Now” and depicts Portland imagery. The cheapest and easy way to get into the city from PDX is via the MAX, light rail system of the city. Also an express shuttle runs every half hour from the PDX. Nestled in the south of the South Columbia River, The Portland International Airport is situated within the city limits. It is usually called by its IATA airport code, PDX and has plenty of available rides for passengers to get to destinations near downtown Portland. As soon as you visit the beautiful city of Portland, you’ll notice the Portland International Airport is quite packed, mainly because it accounts for more than 95% of air travel as well as cargo for the city. Avoid the buzzing streets and bulging crowds by figuring out exactly how you’re going to get around – do this by booking a shared ride van from a local shuttle company that offers quick rides through busy streets and an affordable way to get around. 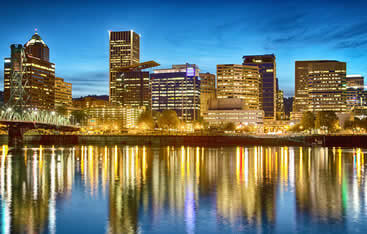 Portland is known for its vast parks and adoption of other cultures, giving tourists and business travelers an opportunity to see other worldly landmarks like the Portland Japanese garden, a park home to serene waterfalls and unique landscaping. Arrive there by booking a private van, giving you the space and intimacy that makes Portland so much better. While you’re out, visit Washington Park, a famous recreation area that houses the local zoo as well as a jaw dropping rose garden. Go for a guided tour through the historic Pittock Mansion, a museum that showcases the rustic beauty of the French-Renaissance style, an architectural gem that old Portland was well-known for. Arrive to the gorgeous home by booking a private sedan, giving yourself the benefit of showing up quickly and without the annoyance of strangers. Reserve your ride with area shuttle companies and head out to the very romantic, Forest Park, an enormous wooded area that has a vast network of hiking and biking trails. Whether you’re a family on summer vacation or a small group of friends on the hunt for debauchery, Portland has scenes for just about every culture. Have a hands-on experience at the Oregon Museum of Science and Industry by transporting your family with one of transportation provider’s safe and reliable private SUVs. Luckily SUVs are also a great ride for groups of friends, the sliding doors making it easy to get in and get out of the Portland bar scene, whether it’s Bailey’s Taproom or Ground Kontrol Classic Arcade. Downtown Portland is home to some of the poshest and irresistible restaurants in the country, giving lovers of world foods an opportunity to try authentic cuisine. Order an iconic French dish at Le Pigeon, an inventive small restaurant that’s known for making big surprises in small ways. When you’re finished with your meal, ride away in style by having your chauffeur pull up in your stretched limousine. Afterward, head out for midnight drinks at The Observatory, a trendy bar famous for their delicious cocktails. Go for a peaceful walk at Tom McCall Waterfront Park, a fun recreational area with expansive lawns and tons of trails made perfect for having a picnic or simply people watching. If you’ve got a bit too many people to rely on public transportation, make the trip go smoothly by scheduling a pick up and drop off with a chartered bus from us. For a more thrilling afternoon, hit up Oaks Amusement Park, a nostalgic local hotspot filled with a family-friendly ice skating rink and roller coasters. 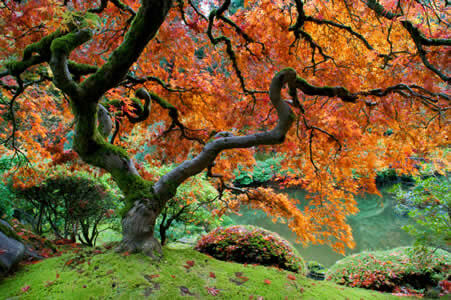 The Portland Japanese Garden is a slice of the east brought to the west. With Japanese Maples, Zen sand gardens, and beautiful strolling ponds, the park is a so big and so well landscaped that it can actually fool someone into thinking they were in Japan. There are five major sub-gardens that cover over 5 acres, which make for a great day. → There are five gardens on the grounds, each with its own unique feel. From the Flat Garden to the Tea Garden or the Sand and Stone you’ll want to take in the beauty of each one while you are here. → Enjoy a complimentary tour of the gardens on your visit. You can also take a self-guided tour if you’d like and there are trained volunteers throughout the gardens to answer any questions you may have. → Enjoy one of the many events the garden offers while you are here such as Art in the Garden or one of the cultural festivals or lectures. 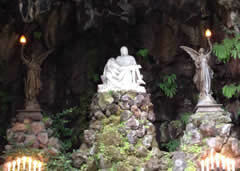 The Grotto is an outdoor shrine made for the Roman Catholic faith, but you don’t have to be any religion to observe the beauty in the atmosphere. Many people from all walks of life come to meditate, take photos, or go on long walks along the trails that run for thousands of feet. For those looking for a spiritual experience, there’s a nearby church. For a look into Oregon’s rich past, visit the Pittock Mansion, a chateau-style home built in the early 20th century for a famous publisher. The 46-room home has since been taken over by the Parks and Recreation department of Portland, eventually turned into a fun location for the public to visit. The interior is just as exquisite as the outside, made in a French Victorian style and offering incredible panoramic views of downtown through the expertly designed windows. Portland International Airport is located just off the coast of the Columbia River, making it a short three-mile drive from downtown, which can easily be accessible through TRI MET, the high-tech light rail system just installed by the city for eco-friendly and fast transportation. If you’re in need of other means of ground transportation besides Portland’s public light rail system, you’ll have to make calls to private companies, which are all listed online. Airport shuttle services are also readily available. For chic, modern rooms in an early 20th century hotel, visit the Hotel Lucia. This 4-star resort offers the unique juxtaposition between old architecture on the outside with modern conveniences on the inside. Another great spot to stay in is the Inn at Northrup Station, a bright and colorful hotel that has a 4-star feel with a 3-star price, not to mention free Wi-Fi and breakfast. The Andina is a beautiful and lively restaurant that offers amazing Peruvian food as well as an exotic atmosphere at an affordable price, not to mention a great view of downtown. If you’re in the mood for some southern comfort, try some locally grown food at Screen Door, a restaurant that offers classic American dishes with a Northwest twist. If there’s one thing that’s heavily in abundance in Portland, it’s parks. There’s certainly a lot of entertaining things to do within the city, but there are just as many things to do on the outskirts, whether it be the International Rose Test Garden or Trillium Lake.